Army SSgt. Donald E. Smith - Run for the Fallen New Hampshire, Inc.
Donald resided in North Hampton with his wife and kids since 1986. He was born and raised in Amesbury, MA. He attended local schools there and graduated in 1978 from Whittier Technical High School in Haverhill, MA., learning the metal fabrication trade. He enlisted in the U.S. Army in 1982 and was stationed in Germany from 1983-1986. On July 26, 1985, he married Linda LaPointe in Esburg, Denmark. After his discharge, he continued serving with the Massachusetts Army National Guard in the 110th Maintenance Company, with duties including armoring motor equipment for Desert Storm. 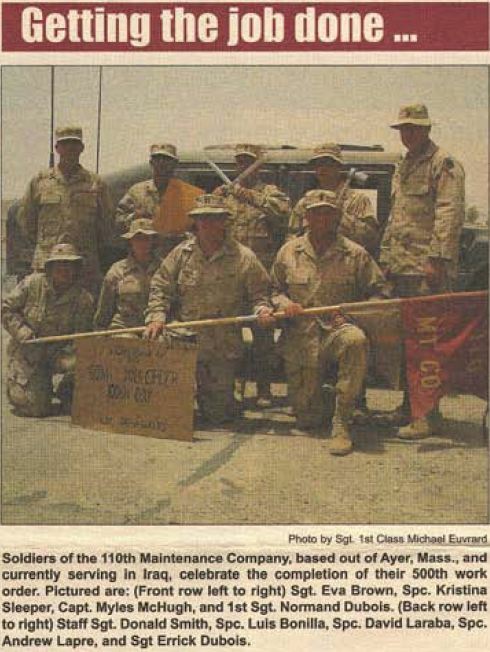 The 110th Maintenance Company was activated at the beginning of the Iraq war, and Donald served from March 2004 until April 2005. During that period he was injured while stationed at Tallil Air Force Base in southern Iraq. In 2006, Donald died at Exeter Hospital as a result of those injuries sustained back in Iraq when he was deployed. 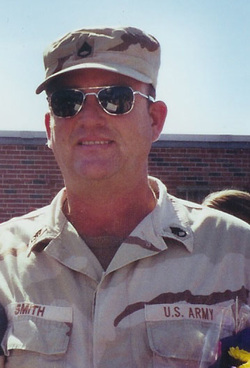 He had 24 years of service with the U.S. Army. His wife Linda said, Donald likely would’ve shied away from a grand remembrance gesture, although she said having friends, family and a strong veteran support system has helped her through difficult years. *If you have any information on Donald's awards, please contact us. Donald is survived by his wife Linda, daughter Danielle; two brothers, Nicholas Arivella and fiancée Debra, and Marc S. Arivella, and wife Paula, and their son David; his sister, Jennifer L. Young and her husband, Scott; and his extended family .